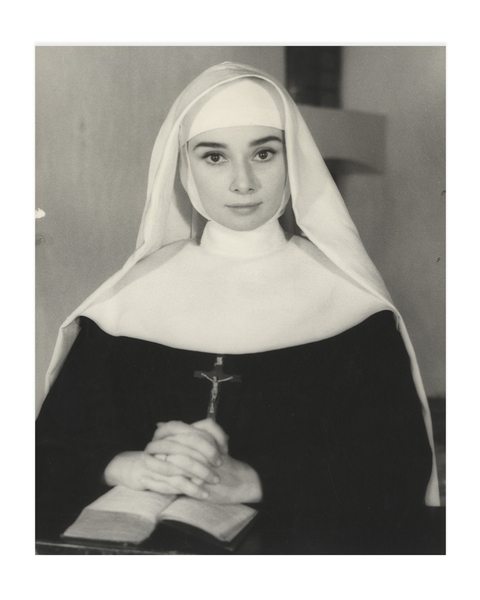 Audrey Hepburn's personally owned production still from her 1959 film, ''The Nun's Story'', taken by photographer Pierluigi Praturlon in Rome on location in 1958. ''The Nun's Story'' was Warner Bros. most financially successful film to date, with Hepburn's highly acclaimed performance as Sister Luke, for which she earned her third Best Actress nomination, largely responsible for its success. Hepburn was said to have taken on the character like none other, with filming in Africa even inspiring her to return to the continent to work for UNICEF years later. 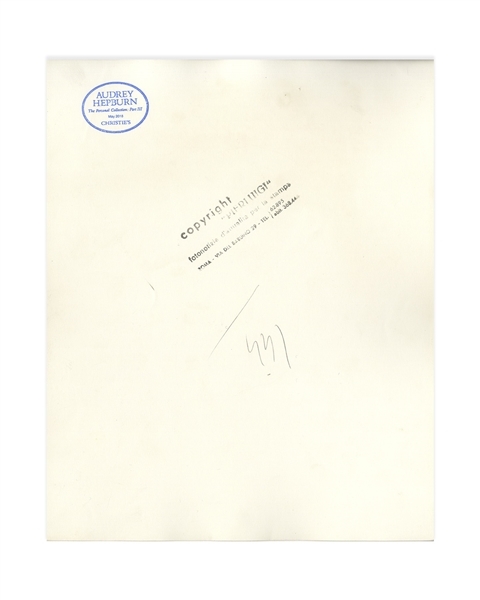 Semi-matte silver gelatin photo measures 9.5'' x 11.75'', with Praturlon's copyright stamp, and Christie's stamp on verso. Minute wear, overall very good to near fine condition.